The links below were all active at the time of publishing, however if you find a broken link please email us. If any item on this page causes a problem with respect to copyright please email us and it will be removed. This Campaign Memorial Book webpage is dedicated to the lives of those who have died selflessly serving their country. It has been created by the team at www.friendsandrelations.com to bring comfort and solace to those who have lost loved ones in times of conflict. Through the sharing of recollections and photographs, the Online Memorial Books, shown here, celebrate precious times by keeping fond memories alive for family and friends across the world. RAF Benevolent Fund are running a project to mark the 70th anniversary of the Battle of Britain.The aim of the campaign is to bring the Battle to life online, to demonstrate the impact of war on serving personnel and to show our appreciation to those who served 70 years ago and those who continue to serve in the RAF today. 207 and 214 Squadrons started from similar roots during WW1. The Memories Recovered Project is a tribute to veterans, beginning with those who served during World War II (1939-1945) and the Korean War (1950-53). Interviews with those involved with more recent conflicts and peacekeeping efforts will follow. Through video production, this project documents historical events and stories of the survivors, both overseas and here in Canada, thus providing a means for veterans to pass on memories of their personal experiences in Canadas military to current and future generations. A very interseting site including photographs from the 214 tanker years. This site was compiled by Pete Biggadike who spent 5 years with No 214 Squadron from 1972 until 1977. 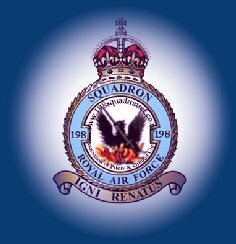 A very comprehensive site of the highest standards covering the activities and history of the RAF 198 Fighter Squadron. This is a first and last stop for friends and family of the 198 and those researching the fighter Squadrons. The numerous rare photographs and first hand accounts also make it a must visit for those who simply enjoy reading about military aviation or WW2 history. This site is dedicated to the men and women who served with 4 Group, Bomber Command, 51 Squadron during World War II and to all those who gave the supreme sacrifice. This website was launched on 11 July 2008 and was setup with Bill Chorley, author of the 9 volume series of books. Is the first national memorial dedicated to the men and women of the United Kingdom Armed Forces (Regular and Reserve) killed on duty or as a result of terrorist action since the Second World War. Service records of Officers that served from 1922 onwards and Airmen that served from 1924 onwards are held at Personnel Management Agency (PMA). A Subject Access Requests (SAR) form needs to be completed in order to access records. In 2005 the Malaysian Government approached the Foreign and Commonwealth Office (FCO) to seek approval to present their new medal, known as the Pingat Jasa Malaysia, to British veterans and others who served in operations in Malaya/Malaysia between August 1957 and August 1966. If your looking to make contact with one of the British and Commonwealth Squadron Associations, this is your first stop. The various Associations are invariably the best source of information if your looking for a veteran or information on a particular squadron. The RAF Association (RAFA) is a membership organisation of serving and former members of the Royal Air Force, their families and dependants and all those supporting the aims of the Association. 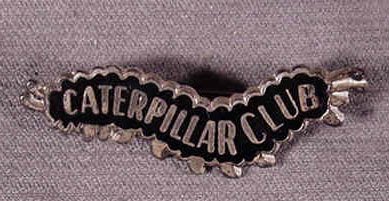 It is the largest single-service membership organisation in the United Kingdom and has roughly 80,000 members and 500 Branches in the UK, Europe and further afield. The Association provides help, assistance, comradeship and, where required, welfare and care for the whole RAF family. This website tells the story of the Royal Air Force's bomber aircrews, airmen and airwomen and their contribution to victory in the Second World War (WW2) 1939-45. The oldest heavier-than-air flying machine squadron in the world; one that continues to be operational with a history going back to the beginning of the last century. The Short Stirling was the RAF's first four engined bomber of the second World War. It took a major part in the strategic offensive until 1943, then it was switched to transport duties. Stirling crews gallantly played a major role in the Arnhem landing after towing gliders to Normandy, and again during the Rhine crossing . The Memorial is a unique Australian national institution that combines a shrine, a world-class museum and an extensive archive. The website can help you to plan your visit to the Memorial, research your family history, learn more about Australia’s involvement in overseas conflict and peacekeeping, discover items in the vast national collection - ranging from works of art, photographs and militaria, to relics such as aircraft, tanks and guns, purchase a book, photographic image or souvenir from the online shop. Airfields of Britain Conservation Trust aims to preserve and protect our priceless airfields as well as educate the nation to the rich heritage and contribution they have made to our society both past and present. A website of the very highest calibre. It is well designed and and not just extremely interesting to browse, it is also packed to overflow with invaluable research material. Be prepared to spend hours, it's like a good book you just can't put down. The World War II Memorial honors the 16 million who served in the armed forces of the U.S., the more than 400,000 who died, and all who supported the war effort from home. Howard Curtis's dedicated aviation links site. The place to discuss with others all matters relating to historic aviation, modern military aviation, commercial aviation and a lot more as well. The WW2 Airfields of the RAF and the US 8th and 9th Army Airforce as they are now! Photography of low level flying aircraft and where to take the best pictures. An excellent site which has been in existence for a long time covering Air Crew from this region in Canada. Many interesting stories and a great resource for researchers. A must visit site and the best of its kind on the internet. Its not only a wonderfull tribute dedicated to Allied personnel who lost their lives in the Netherlands, but it is also a great resource for researchers. Flugabwehr - Flugzeugabstürze - Militärische Anlagen im Kieler Umland 1939 - 1945. Nils Hemple is a researcher from Kiel Germany who for years now has been researching the aircraft that have crashed in and around the Kiel area. This research involves a detailed investigation and search of the actual crash sites and a reconstruction of the aircrafts final moments. BY KEES BLANKENSTIJN, A wonderfull tribute and register of all the crew members, who are buried at Rusthof, and their aircraft. Amersfoort (Old Leusden) General Cemetery. Kees has obviously put a tremendous amount of selfless time and effort into this site. The site itself and the research and detail that have gone into it are second to none. The amazing ongoing research of Howard Martin to trace the veterans of both wars on the Cartmel Memorial as well as the immediate Cartmel area. The amount of time and effort he has selflessly devoted to this project and his site is unimaginable. An excellent story on the evolution and difficulties faced by the bombers in WW2 written by Bill Sykes. This is a must read !!!!! Stanley Warren's site is an excellent resource dedicated to the RAF Ground Crews. For anyone trying to track down an old comrade or looking for info on RAF Groundcrews it is worth a visit. Stan has kept the site well organized and easy to navigate. It also has an extensive bulletin board of veterans and families looking for friends or information. Have a look maybe an old friend is looking for you. An excellent general site with much research material, and what is likely the busiest forum regarding the RAFon the internet. This site is an interactive database where you can search for allied or German aircraft lost over Germany. You can also help build this database by uploading details of your own research. Another site by Author, John Cripps (214 Family member). This is a unique and interesting site. The concept of the site is what makes it unique, in that it focuses on the Keepsakes, memorabalia and other means by which families preserve memories, be it of a lost loved one or a veterans achievments during the great wars. One instantly thinks of medals, but there is so much more. Interesting, poignant and sometimes humorous, it is well worth a visit. 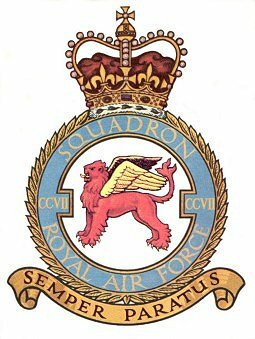 A comprehensive site covering the activities and history of the RAF 113 Squadron in the Middle East fighting both the Japanese and Germans. The 113 was a bomber squadron initially, flying Blenheims in the deserts of North Africa, Greece, Crete, India and Burma. It later converted to a fighter Squadron flying Hurricanes and Thunderbolts throughout Burma. The Squadron has an incredible rich history which has to be read to be believed. This includes direct support of the army and a key role in driving Gen Rommel from the desserts of North Africa to flying in Monsoons driving the Japanese from the Jungles of Burma with the famous American Flying Tigers. No squadron in RAF history was wiped out more times, sustained higher losses or fought in more theatres than the 113. Home of the RAF station MARHAM. An extensive wonderfully laid out site that covers every aspect of this famous station. It is not only for those that have a connection to the Marham station or the Squadrons, there is something for every aviation enthusiast both young and old. Drop in for a visit, you will not be dissapointed. Also has photos of 214 Flying Fortress and information on the Squadron. Copies of the above mentioned photos can be obtained from the sources indicated.